Well, well, well. It appears iJOY is pulling a little sleight-of-hand magic on an unsuspecting vaping public. Using a flurry of lights and window dressing, it successfully transformed the Captain PD270 (reviewed here) into the altogether more magical-sounding iJoy Genie PD270. The vaping industry is certainly no stranger to “lovingly borrowing” ideas and designs, but rarely do we see it coming from within the same company. 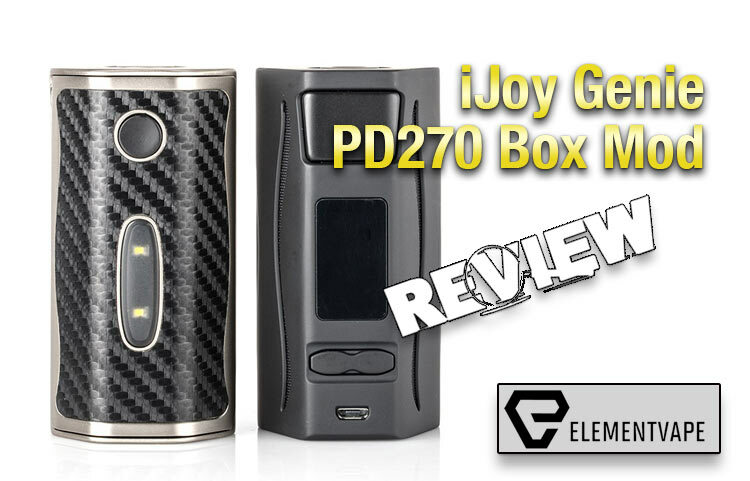 I say this because the iJoy Genie PD270 has nearly identical specs and features as its predecessor, with a few added bells and whistles. Still, we’re open-minded here at Spinfuel VAPE, so let’s see if this Genie rises from its own bottle, or if it ranks lower than the Captain. 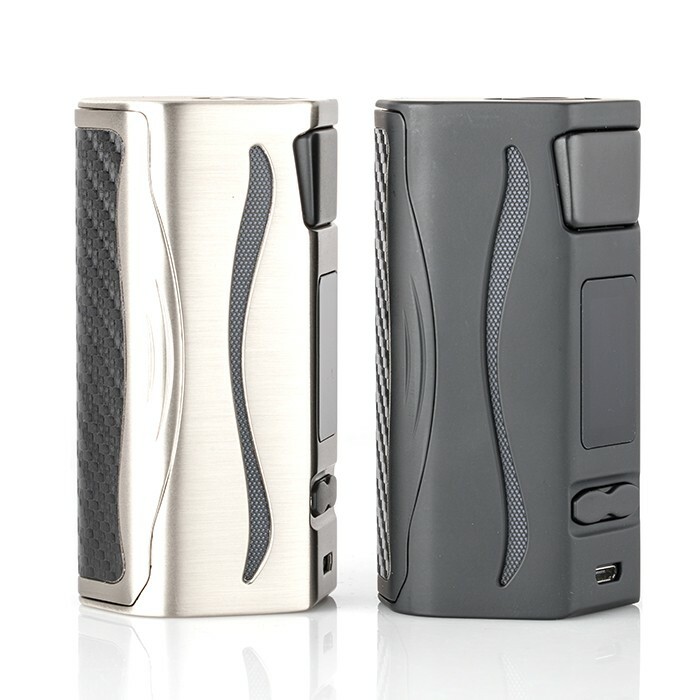 Using the same hexagonal form factor as the popular Wismec RX series, the Genie PD270 is, in fact, not a three-battery Mod. 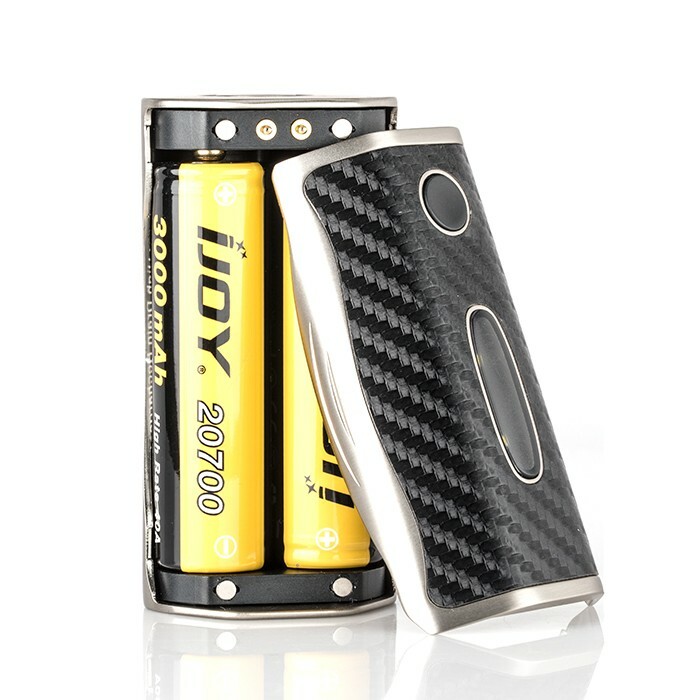 Instead, iJOY continues to show its support for the 20700 battery format, and has generously included a fresh pair in the Box. The larger cells take up most of the available room in the battery compartment, but perhaps 18650 adapters would have been a nice addition for those who don’t want to make the switch. Visually, the Genie PD270 is commanding in its size and appearance. Standing 88mm tall, with 43mm of depth and 45 mm of width, the Genie is large and symmetric. A carbon fiber “sticker” – similar to what iJOY used on the Captain – appears on the back, alongside an oval LED light for the flashlight – one of two “new” features on the Genie. 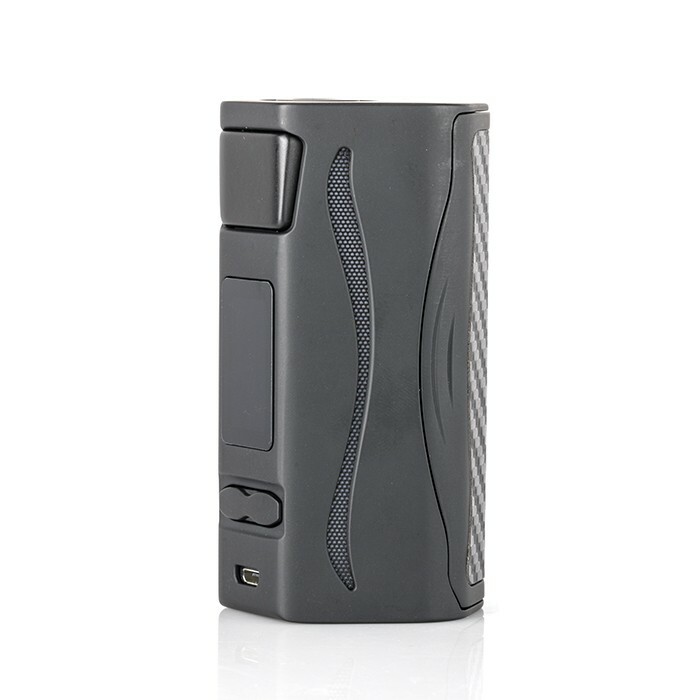 In case of seemingly inevitable sticker peeling, iJOY included a spare, snakeskin design sticker to replace the carbon fiber. The bright, impressive LED flashlight has its own lens, and its own control button on the back of the device, which would be fine, if I didn’t find myself pressing this button repeatedly when firing the Mod. Though the light never turned on accidentally, I did notice a decrease in power when the fire and flashlight button were pressed in tandem. The other new “feature” is the pair of snaking, translucent LED panels on either side of the device that show off the new light show feature. The five-color options are a touch more vibrant than similar light displays, but like with most of those Mods, I quickly opted to turn off the display. This increased focus on non-vaping-related features is fine – and is to be expected in an industry experiencing diminishing returns on innovations. But the Genie PD270 also inherits many existing problems from the Captain, making me wonder if iJOY really made the best use of its resources here. 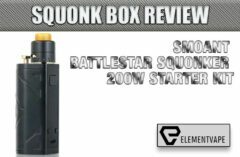 Extraneous features aside, the Genie has one major improvement, the much improved screen, which takes visual cues from the Captain PD270 and the RDTA Box, but presents it in a slightly smaller, more compact way. The differences are subtle, but I much preferred navigating the Genie’s screen than those of its bigger brothers. Finally, one of the things we noticed about the Genie PD270 in the preview is how the recessed 510 connection is offset, despite having a form factor that just begs for a center-positioned connection to accomModate as many atomizer sizes as possible. 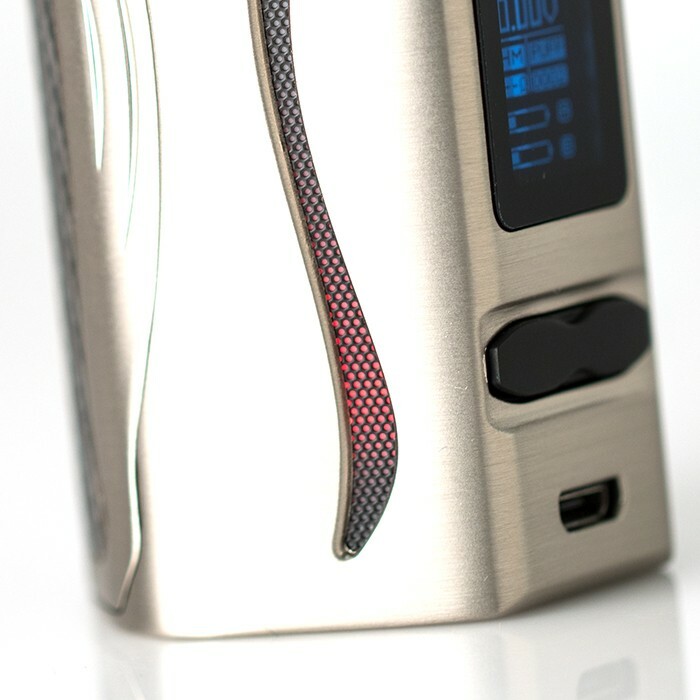 Though we didn’t face any issues with overhang, it remains a questionable design choice by iJOY. The Genie PD270 feels pretty good in the hand, save for one major concern – the rear battery door. While the compartment sits snug with no batteries in place, once the included 20700s are installed, the door becomes frighteningly loose, and I continually found the door ajar when removing it from my pocket. Plus, when operating the Genie, the door can press inward, almost as if the material was bending under minimal pressure. While it sounds like a minor issue becomes much bigger when firing. On more than one occasion, the Genie shifted in my hand while engaging the controls, and the device nearly slipped. This, plus a notable lack of venting, had our team concerned when taking the Genie north of 120 watts. That said, the fire button itself feels much more durable than the battery door. Though not quite as substantial as the tremendous fire keys on the Captain Mods, the Genie PD270 is still more than solid, and feels great when engaging with either a finger or thumb. However, the up/down control button, while sturdy, is comprised of a one-piece bar that is far too easy to hit incorrectly, leading to frustrating loops back through the menus if the wrong option is selected. Also, the proven IWEPAL chipset and menu system is back, and as user-friendly as ever. Navigating the simple menu trees is a breeze, and this system remains a highlight of iJOY’s product lines. Even the LED color display – a new addition to this proven setup – is ridiculously easy to adjust for veterans and newcomers alike. However, the flashlight – while perfectly functional and easy to use – just seems silly and gimmicky. Will it come in handy at night? Sure. Have I used it to find missing RDA grub screws? Twice! But considering the complaints I have about the Genie PD270 construction, the flashlight seems downright unnecessary. At the beginning of this review, we cited the Genie’s similarities to the Captain series of Mods, and that prediction has proven correct. While we did experience slightly better results overall, the Captain’s most-notable problem reared its head once more. 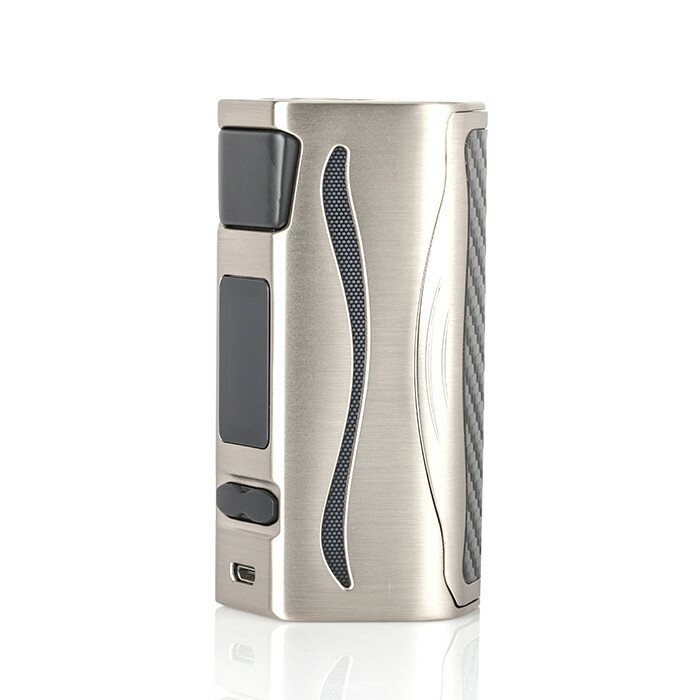 As you might recall, the Captain worked perfectly fine – it just didn’t have nearly the power capabilities as iJOY advertised. Unfortunately, the Genie is similarly underpowered, and peaks well below its listed 234-watt max. Using the Digiflavor Aura RDA (reviewed here) with a 0.08-ohm Kanthal build, I started vaping at 70 watts, and gradually stepped my way up the ladder in 10-watt increments. By the time I hit 150 watts the Genie PD270 became noticeably warmer to the touch, and the vape quality began to diminish. But, to the device’s credit, it was still cranking. By 170 watts, that was no longer the case. I began receiving overheat warnings, even after giving the Mod a chance to cool down. I pushed to 190, and the same warnings occurred, along with the same shutdown/reboot cycle I experienced with the Captain. I didn’t bother moving higher, since it’s obvious the IWEPAL chipset was struggling under the weight of this use pattern. 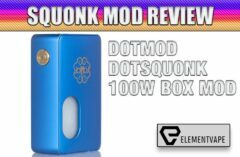 I see no problem in putting this quirky Mod on shelves as a 150-watt device. I just wish iJOY felt the same way. Taking the Mod back down to 80 watts proved to rectify the problem, as the Genie PD270 once again vaped well. The ramp-up time was excellent, and the power was smooth and consistent, without any of the pulsing I experienced at higher altitudes. In temp control, the Genie PD270 was a solid performer, as well. I used several builds – one each of Ni200, titanium and SS316 – and each was recognized in short order. The onboard adjustments were easy to manage, and never once did I receive any temperature protection warnings. Perhaps my only complaint in TC Mode was in using the TCR settings, which kept jumping, until the device bumped me back to wattage Mode. I plan to revisit this under less strenuous (read: not testing) scenarios, to see if the Genie reacts any differently. If so, I’ll be sure to update this review. It might have been a little unfair to criticize iJOY for revisiting the Captain configuration. After all, that device wasn’t a BAD Mod. It was just woefully underpowered. My criticism is really about how the company continues to push out Mods that don’t even approach their listed capabilities. As I mentioned in the Captain PD270 review, a gap of 10-20 watts is negligible, and even forgivable. A gap of 60+ watts? I’m not feeling as forgiving. When coupled with a flimsy battery door, awkward rear flashlight control, and an LED lightshow that doesn’t add anything to the experience, I can’t help but wonder if iJOY might have tried too many ideas, when it should have made one significant improvement, and built a better device. 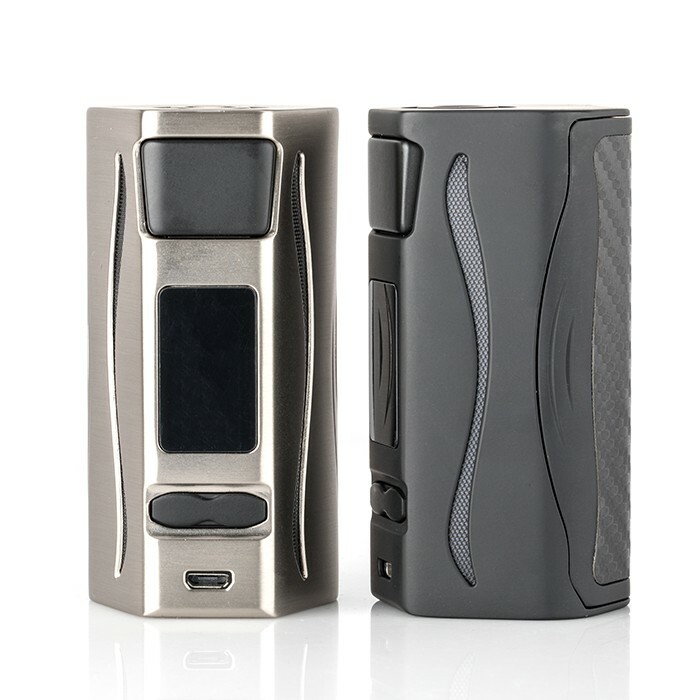 If you like this taller, wider form factor, and want some offbeat functionality, the iJOY Genie PD270 is certainly a capable Mod for most average vapers. However, those who want a Box that can push high into the stratosphere, this isn’t the Mod to wish for after rubbing the magic lamp.